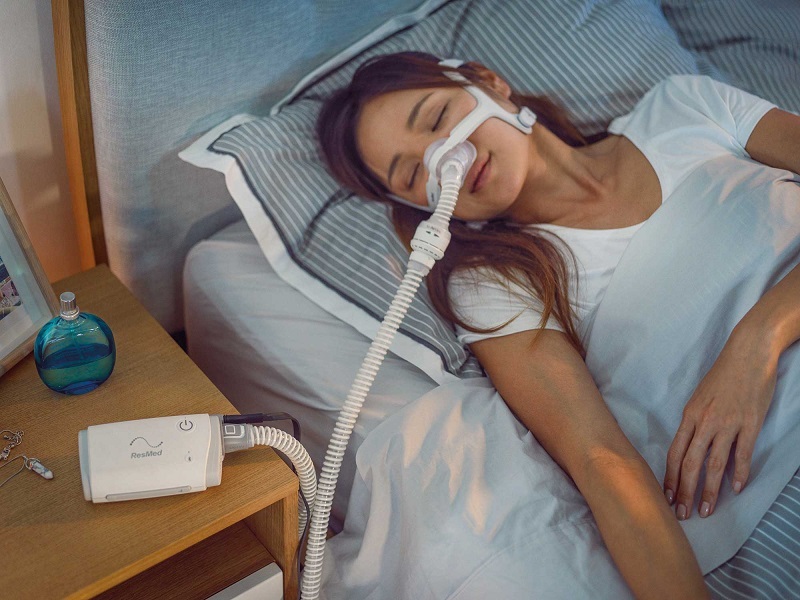 The world’s smallest CPAP device is here from ResMed. 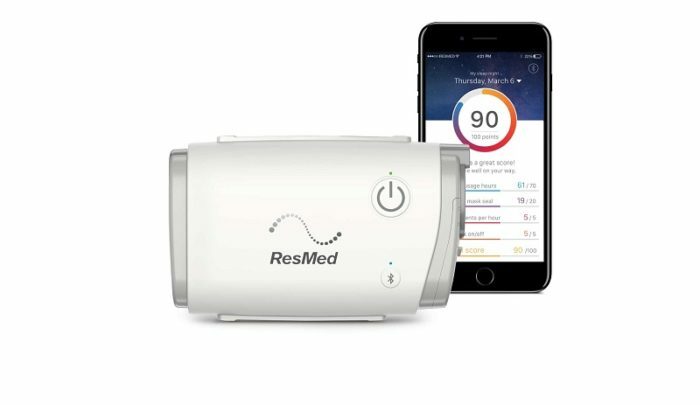 This ultra portable device comes with a water-less humidification HumidX™ system, a contemporary design and delivers convenient therapy control directly from your smartphone with the AirMini App. 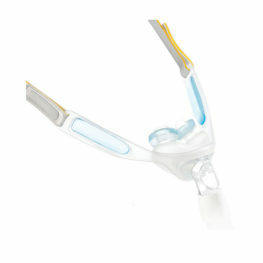 Each AirMini kit comes with a new ResMed AirFit mask. Machine is only compatible with Resmed AirFit F20, AirFit N20 and AirFit P10 masks. 30-day replaceable HumidX and HumidX PLUS humidification disks are available separately in 3 or 6 packs. Single additional packs can be purchased below and they are also available in larger quantities in the accessories section of this online store. 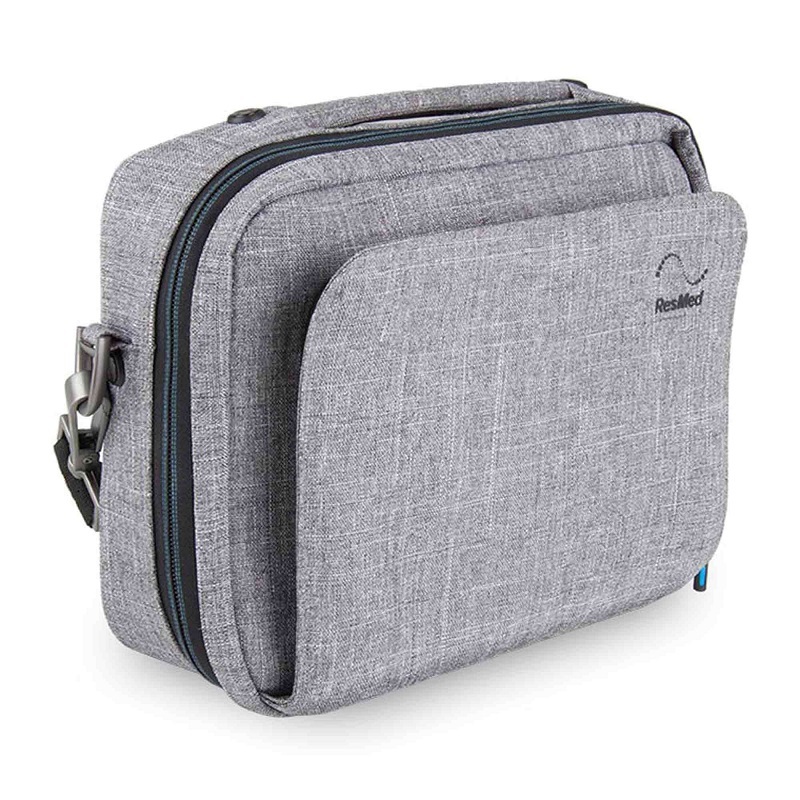 Also available in our accessories section is the AirMini Travel Bag- easily fits all your AirMini accessories for an on the go lifestyle. 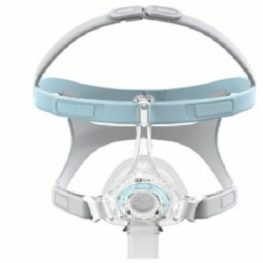 AirMini Starter Kits NOW AVAILABLE WITH THE AIRTOUCH MEMORY FOAM Full Face F20 MASK- see separate listing in our online store. 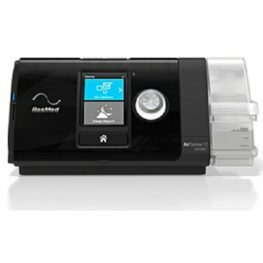 ResMed’s clinically proven CPAP (continuous positive airway pressure) technology along with its comfort and ease-of-use. One device can be set to automatic titrating or fixed pressure delivery. 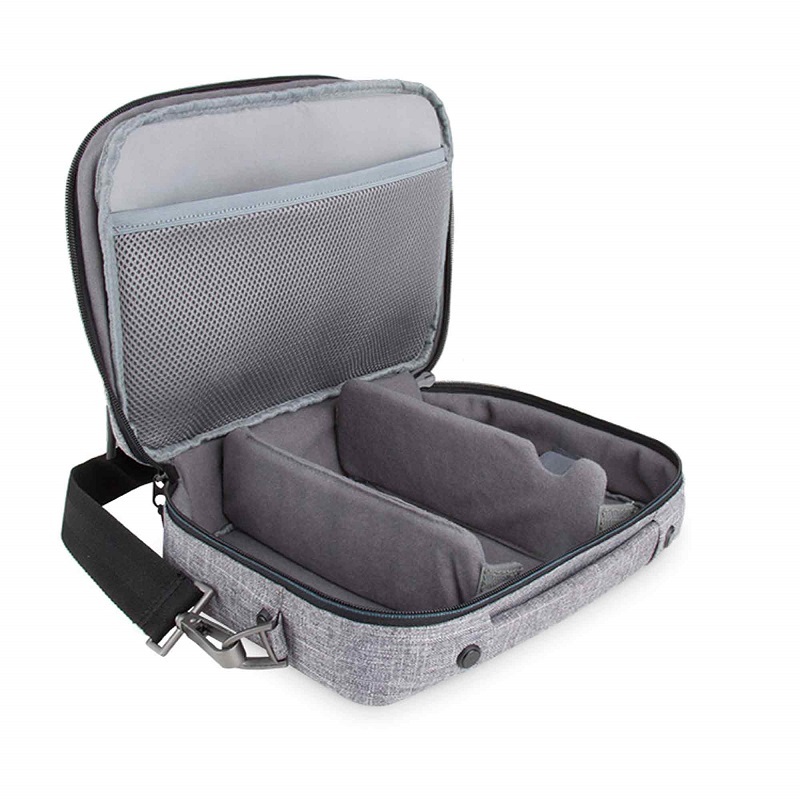 sleek, portable, pocket-sized device ideal for travelling at only 300 grams and 13.6 x 8.4 x 5.2 cm. A phone app (iOS and Android) to change comfort settings and track nightly usage data to increase health outcomes. 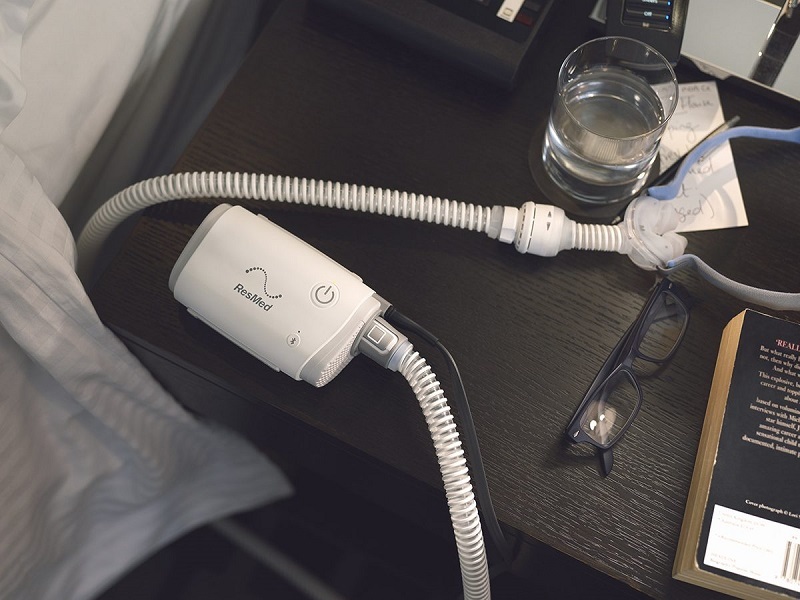 Portable and convenient water-less humidification to maximise comfort, capturing exhaled heat and moisture with a HumidX™ humidifier in the mask tube and redelivering it. 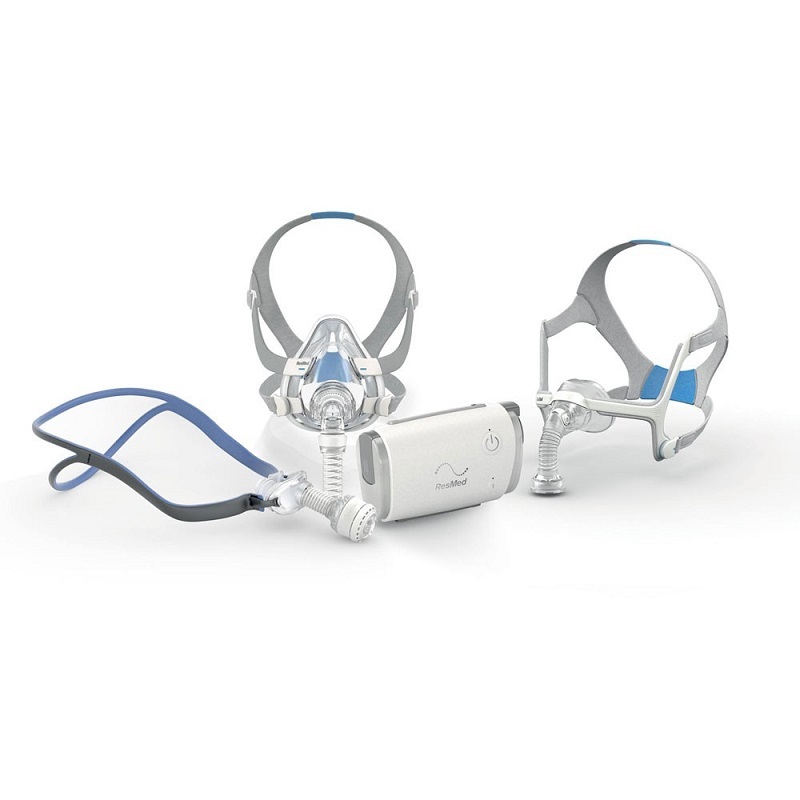 Compatibility with ResMed’s AirFit N20 nasal and F20 full face masks, as well as a special AirMini version of the award-winning AirFit P10 nasal pillows mask. 2 year manufacturer warranty (no extended warranty purchase available from the manufacturer); can increase to 3 years by registering as a SleepVantage member. 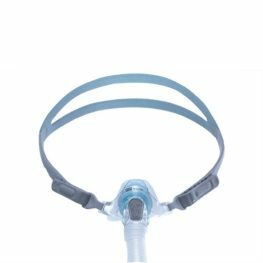 Available in 3 different starter Kits compatible with ResMed’s AirFit F20, N20 and P10 masks. Masks are included in the kits. The HumidX is ResMed’s standard water-less humidification system designed for most climates. The HumidX PLUS is ResMed’s optimum water-less humidification system designed for dry and low humidity climates. 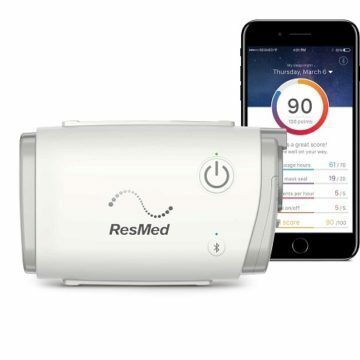 Be the first to review “RESMED AIRMINI with Airfit mask” Click here to cancel reply.